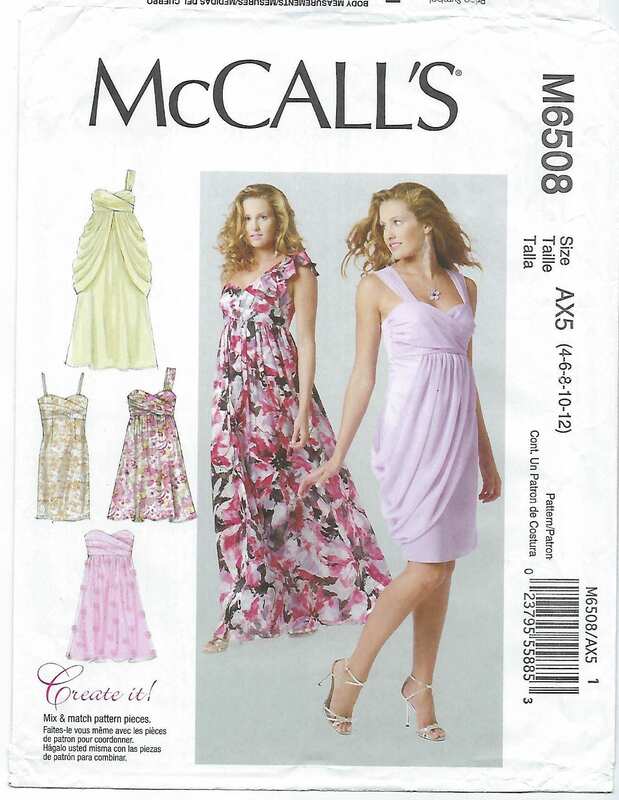 Package includes patterns and instructions to make MISSES Lined Dresses. 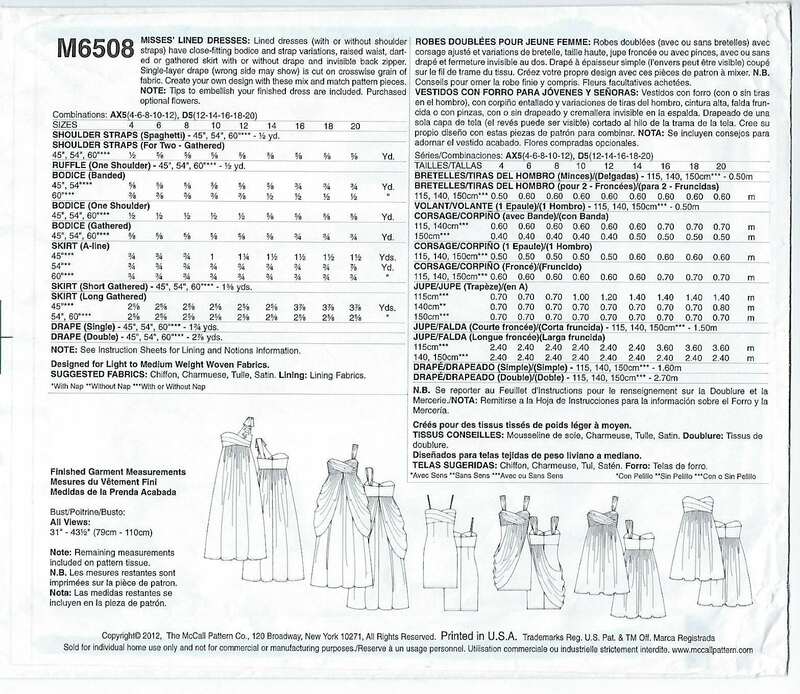 Lined dresses (with or without shoulder straps have close-fitting bodice and strap variations, raised waist, darted or gathered skirt with or without drape and invisible back zipper. Single-layer drape (wrong side may show) is cut on crosswise grain of fabric. Create your own design with these mix and match pattern pieces. 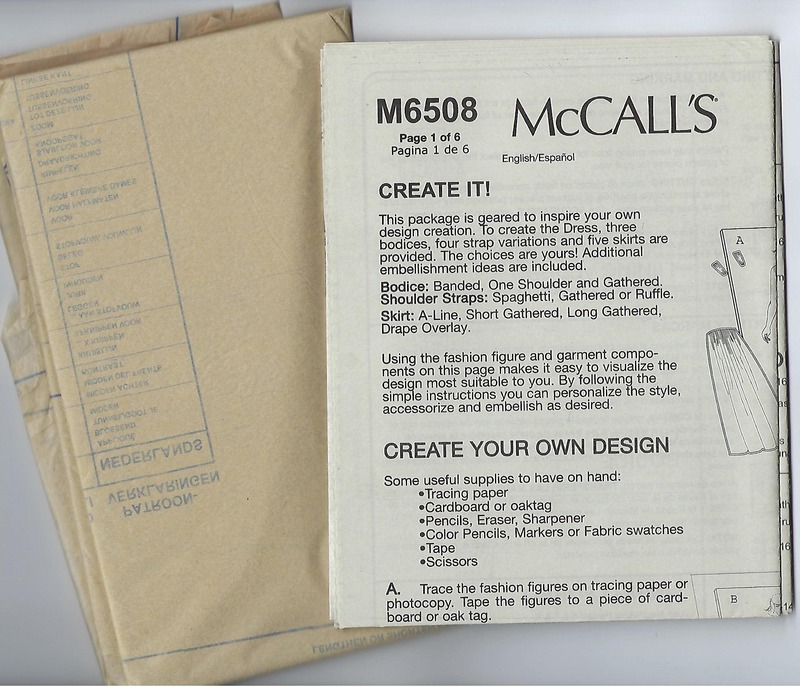 NOTE: Tips to embellish your finished dress are included. Purchased optional flowers.